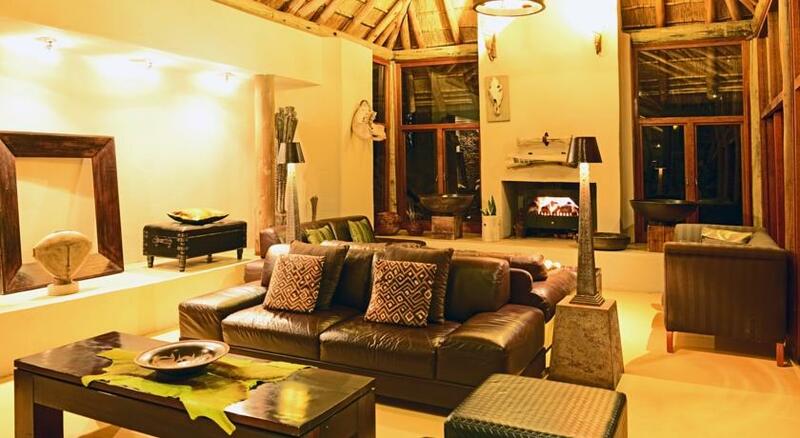 Etali Safari Lodge was planned and developed by Koos and Susan Potgieter during 2002 and opened for business early 2003. Their key strategy when they developed Etali, was to create a Luxury Safari Experience with a strong sense of empathy to nature. 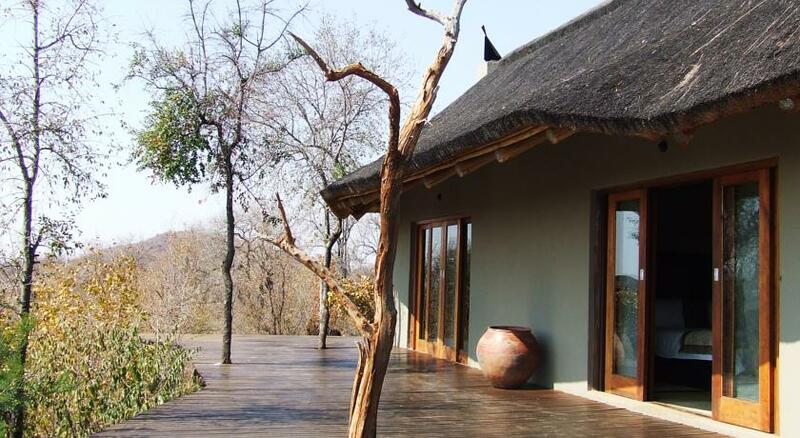 With their love of nature and the wild African bush they created an environment where guests can also experience the same appreciation of the creation they have the privilege of experiencing every day. Being owners and operators of this haven in the wild, attention to detail is at the forefront of every day planning and operations. 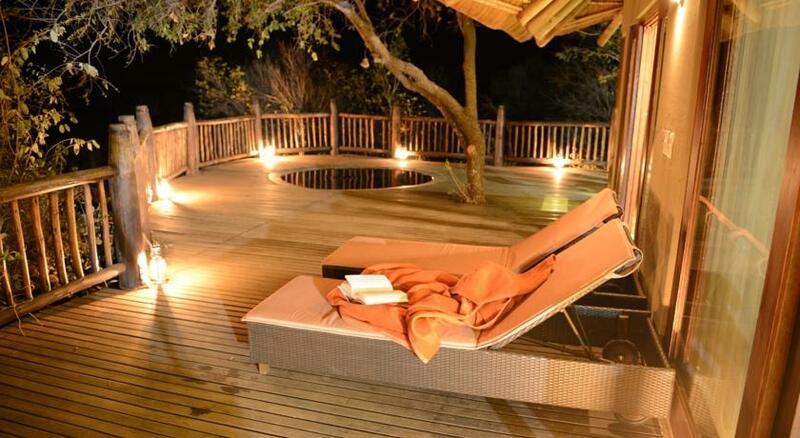 This excellence is reflected in the 5 Star award by South African Tourism, since it opened its welcoming doors. Each guest is special and treated as an individual. The owners have a home at the lodge and have a hands-on involvement with the running of the lodge and enjoy the company of their guests. 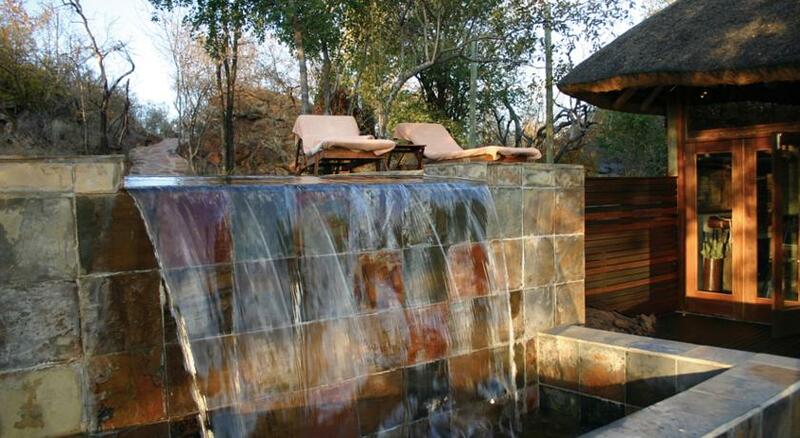 Etali has established itself as the place to be when you want to experience the best Africa can offer. Many of our guests are repeat guests and friends of guests. Guests leave as friends of the lodge and it's people. Most guests, on a regular basis, make Etali their place to reconnect with nature, their family and friends. 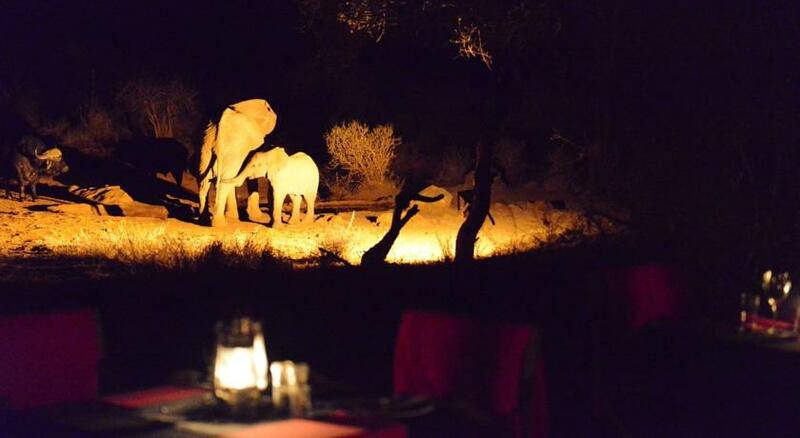 The Main Lodge Area of Etali Safari Lodge, comprises of a large open deck where guest can enjoy a meal under the shade of custom designed umbrella or dinner under the Southern Cross along with billions of stars in the clear skies of Madikwe. 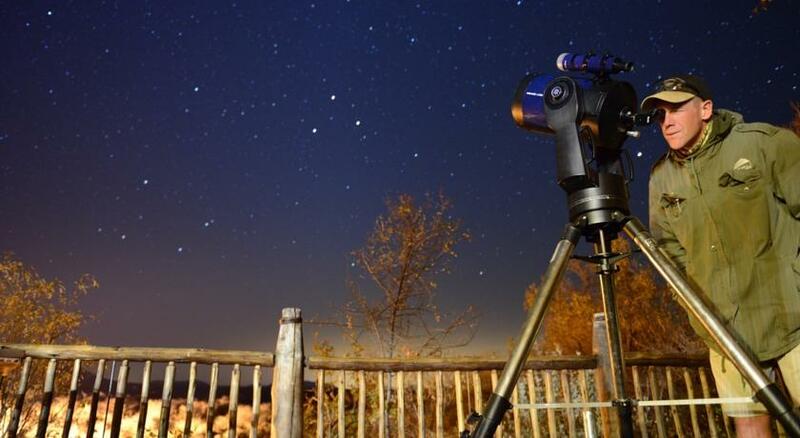 Enjoy stargazing in the South African skies, guided by our rangers, using our telescopes. From the infinite pool one can view elephants cooling themselves and drinking cool fresh water from the waterhole not to far from the deck. Whilst they trumpet with joy, you can enjoy a cocktail from the bar next to the pool and soak up the African sun with your friends. 1. 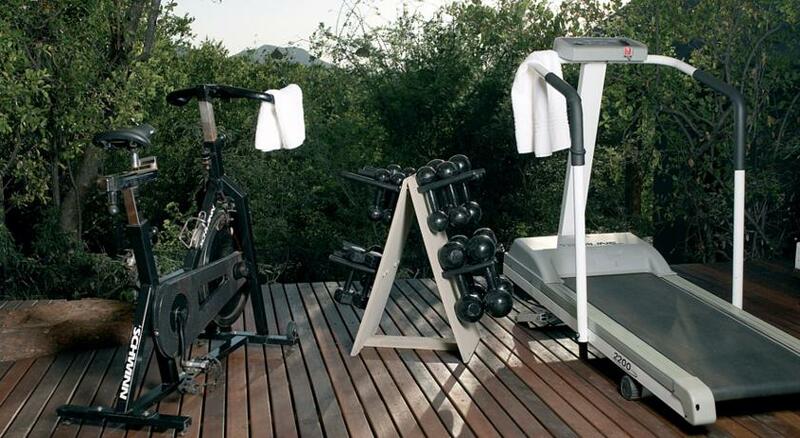 All rates are given in South African Rands and include VAT. 2. Children rates are applicable for 1 child per adult. 3. 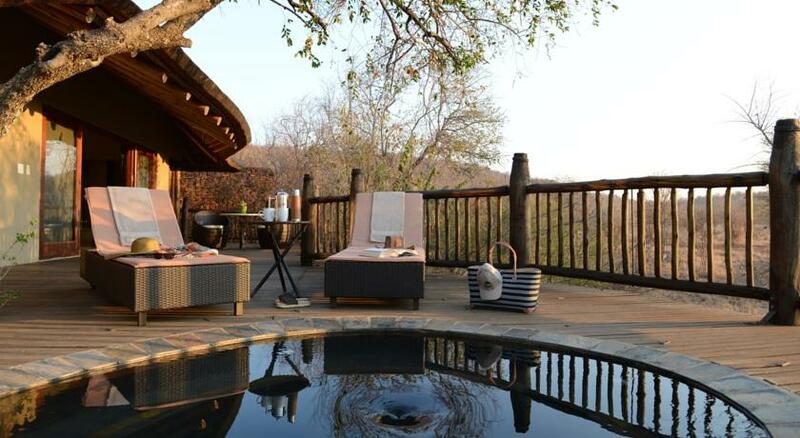 Waterhole viewing suites 6, 7 cannot be pre-booked. 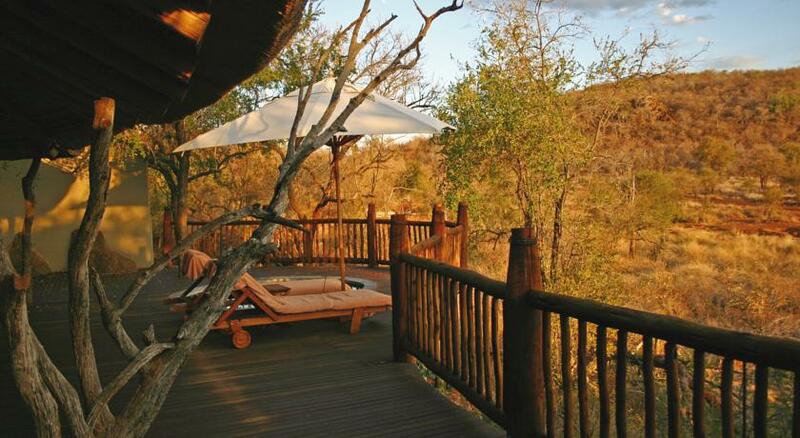 Waterhole viewing suites 5 is reserved for erderly and disabled guests and cannot be pre-booked. Availability can be requested upon arrival. 4. Rates may be subject to change. All confirmed bookings will be honored at the agreed rate. 6. A 30% Deposit is required to confirm a booking with full payment made no later than 4 weeks before check-in. 7. Cancelation fees are 50% up to two weeks before check in and 100% thereafter. « All rates are given in South African Rands and include VAT. 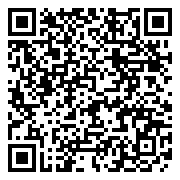 « Children rates are applicable for 1 child per adult. 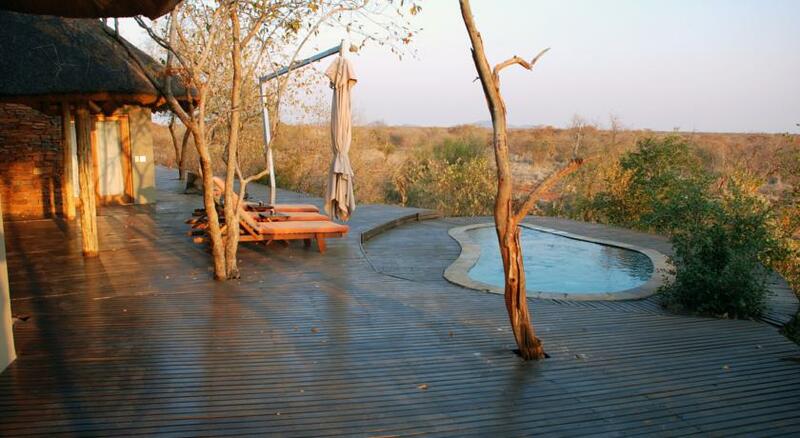 « Waterhole viewing suites 6, 7 cannot be pre- booked. 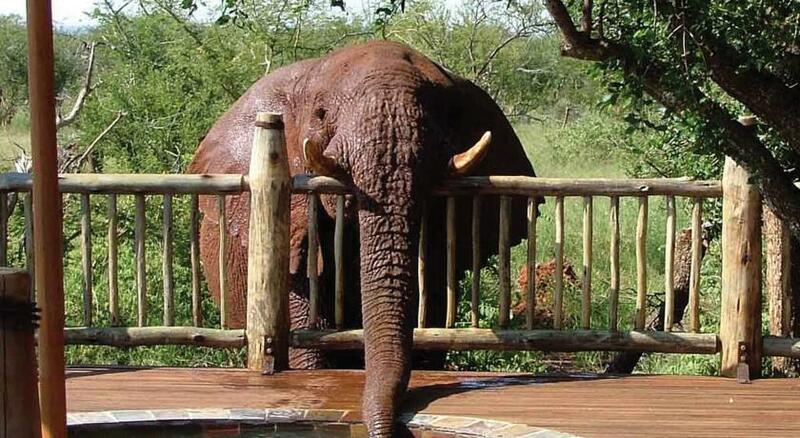 Waterhole viewing suite 5 is reserved for elderly and disabled guests and cannot be pre- booked. Availability can be requested upon arrival. 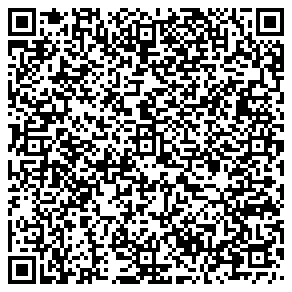 « Rates may be subject to change. All confirmed bookings will be honored at the agreed rate. « Full payment is required to confirm a last minute booking. « These rates are only available to guests check- ing in between May and July 2017, last minute rates are only available 10 days before checkin date, subject to availability. 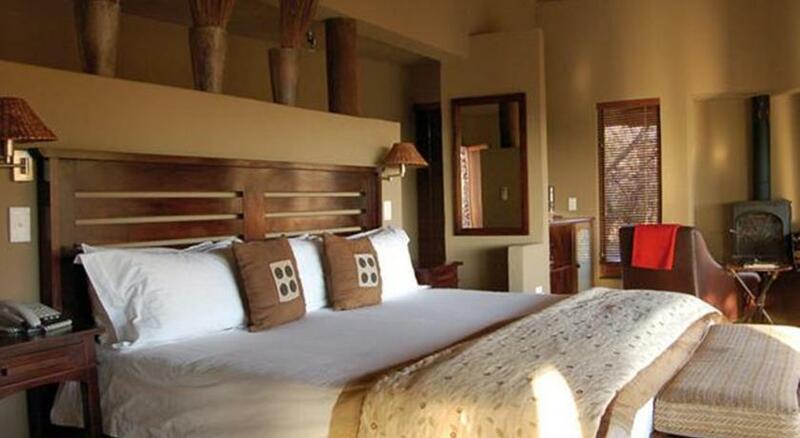 You'll find the accommodation at Etali Safari Lodge sheer bliss in any one of our eight luxury air-conditioned suites, each set apart for total privacy in its own bushveld domain. 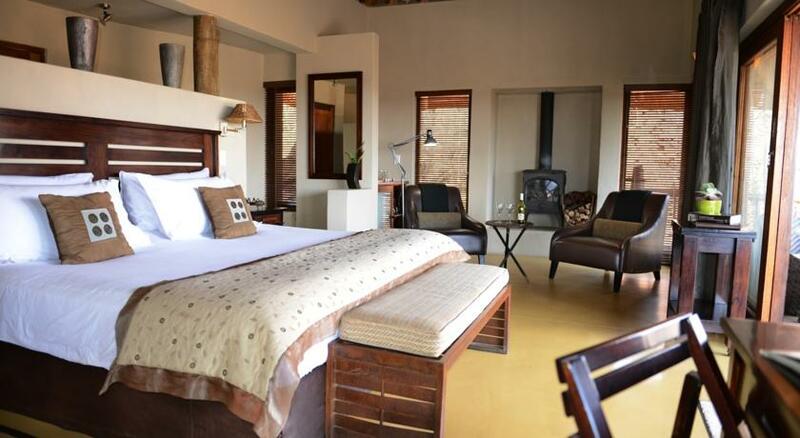 The mix of cool and earthy colours in the decor is a peaceful contrast to the unsurpassed beauty of the sweet-thorn Acacia trees outside. 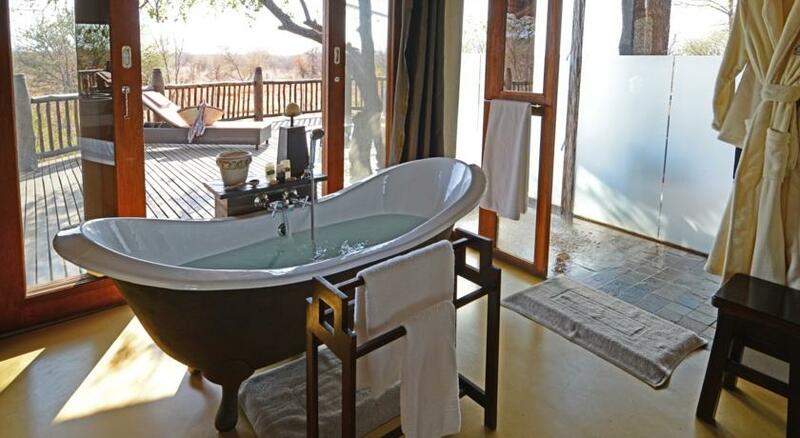 Cooling off in the splendid outdoor whirlpool, sipping a cocktail as you watch the breathtaking African sunset on your own deck is the ultimate indulgence. Nothing beats a long, lingering shower taken in our inside/outside showers with only a bird or little antelope as audience. Second to that may be to soak away in our partner bath and enjoy a relaxing bath therapy prepared by our therapist. 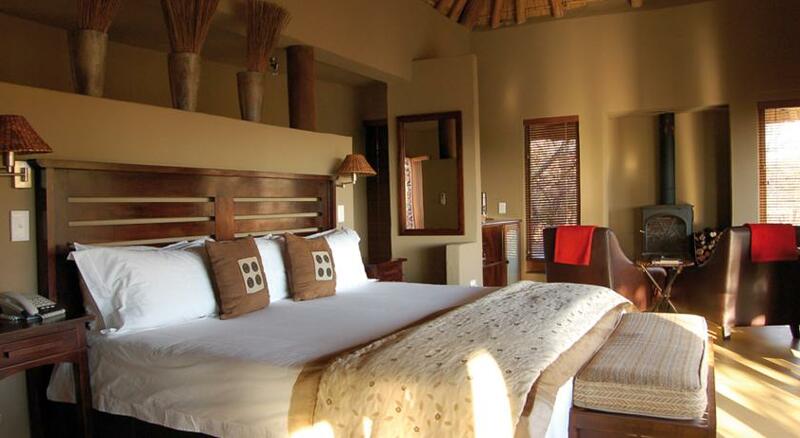 Extra long and wide comfortable beds with fine crisp linen promise an unforgettable night's sleep beneath the thatched roof. 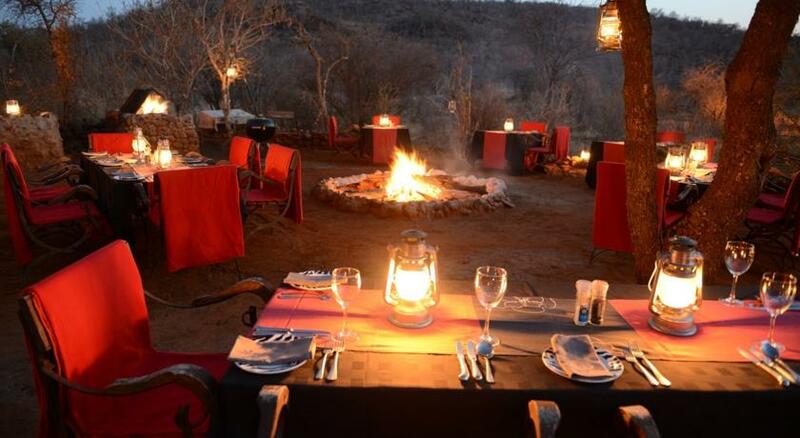 Experience your African Big 5 luxury safari, the Etali Safari Lodge way. During the winter nights we make cosy fires in enclosed fireplaces to ensure the most comfortable stay. Each room has a minibar, a coffee and tea station. Planning a romantic dinner on your private deck? Call us, we will arrange it. 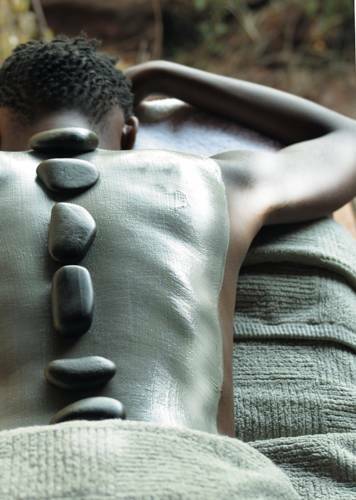 The Wellness Spa with professionaly trained therapists, offers treatment to your choosing, steam room and the open air gym contributes to getting the city race out of your system and maximise the opportunity to embrace nature. 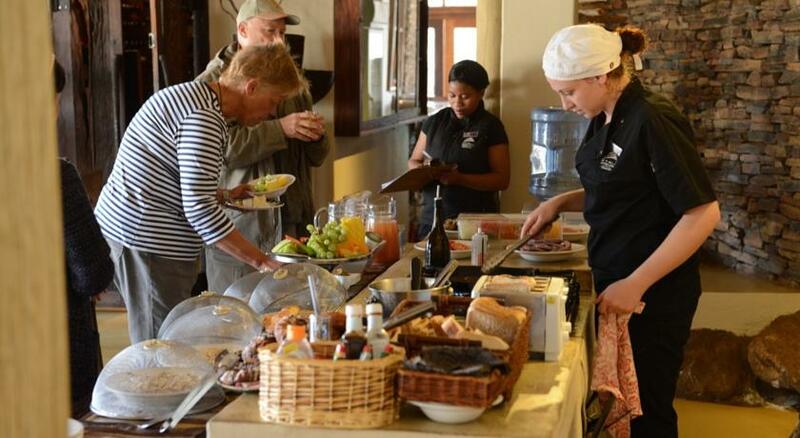 The cuisine at Etali Safari Lodge is remembered by all who experienced it. The menus are prepared to each guests liking and taste. Discuss your requirements with our Chefs. A mixture of African and fine dining is on offer. Special dietary requirements such as Kosher, Halal, Gluten Intolerant, Vegetarian and other meals are available by arrangement. 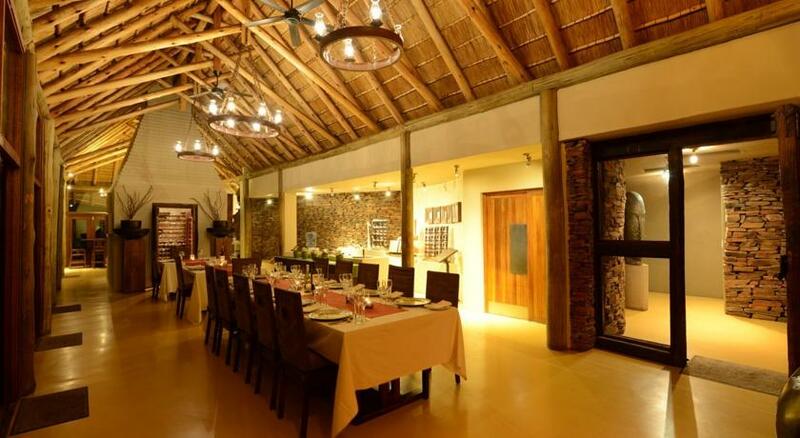 Etali hosts functions such as weddings and corporate events. 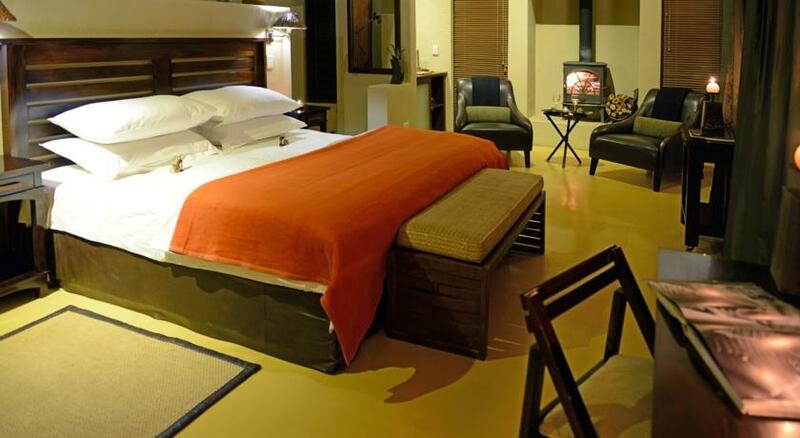 Due to the size of the lodge, these functions typically occupy the full lodge and only open to guests of these events. 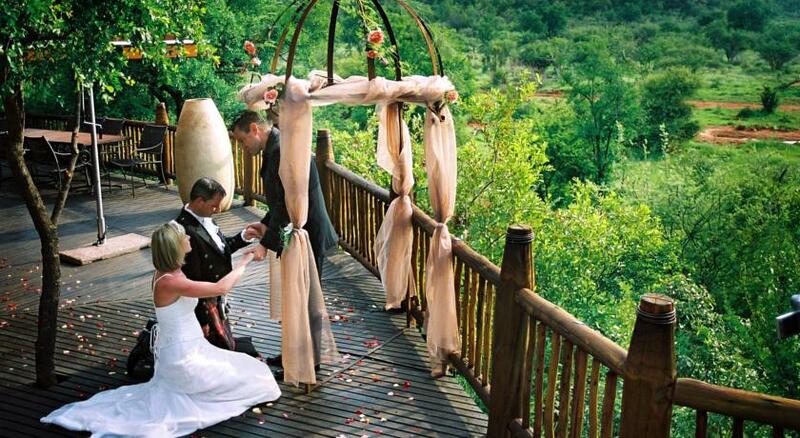 Wedding ceremonies could be arranged within the reserve in the bush, with nature as witness. Etali is also a popular honeymoon location with luxury, spa, cuisine and privacy. 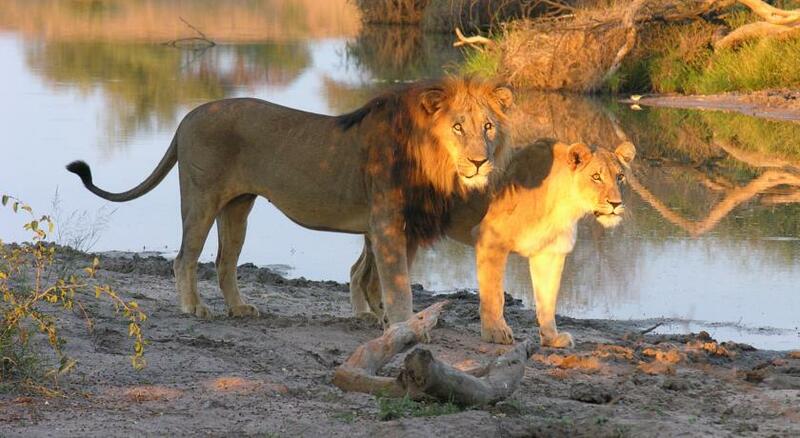 Every day in the bush brings a new experience, as nature reveals her wealth of beauty. Enjoy the exciting unpredictability of an early-morning game drive with an expert ranger whose hawk-eyes will spot memorable moments... a leopard sitting on a rock licking his paws… the black rhino with attitude... the watchful matriarch elephant, bigger than you ever imagined... a pride of lions relaxing in the shade... grazing zebras forming patterns in the grass... the 'painted' wild dogs in their den... giraffes, the lookout towers of the bush. Madikwe has a vast diversity of birds with over 350 species recorded so far – perhaps you'll be the one who adds another to the list. 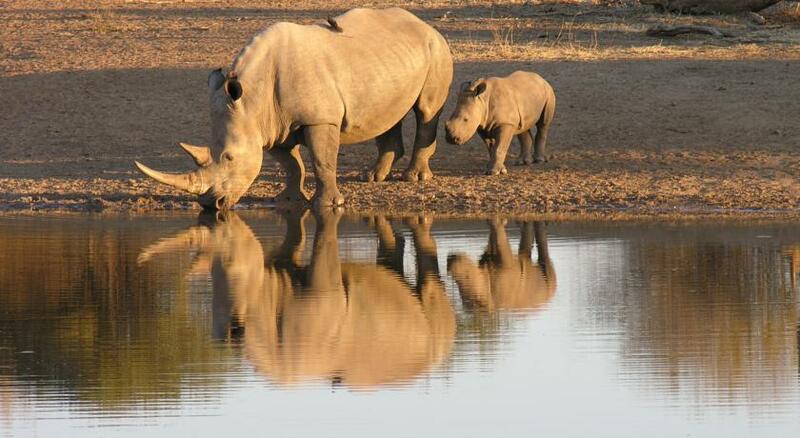 If you prefer, a sunset game drive is the best time to enjoy rush hour at the water hole. 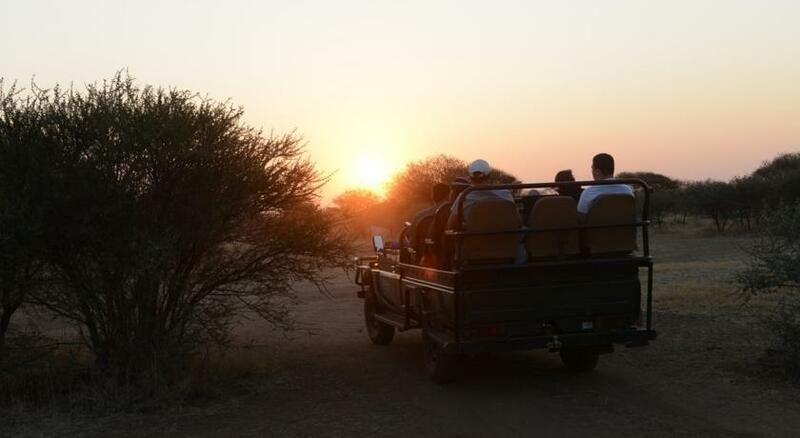 We offer two game drives per day inclusive in our package. 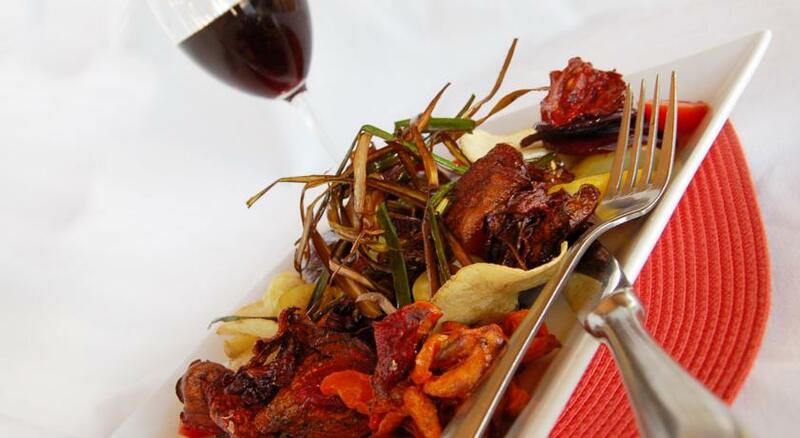 Etali’s delectable cuisine is a contemporary fusion of traditional African with an Asian twist. Meals are light and healthy with lots of fresh seasonal and organically grown vegetables, fruit and herbs. There is no set menu as the chef extraordinaire selects only the best local produce daily to work his magic. Etali house wines are supplied by Glenwood Estate. We serve Glenwood Shiraz and Glenwood Semillon Sauvignon Blanc wines. 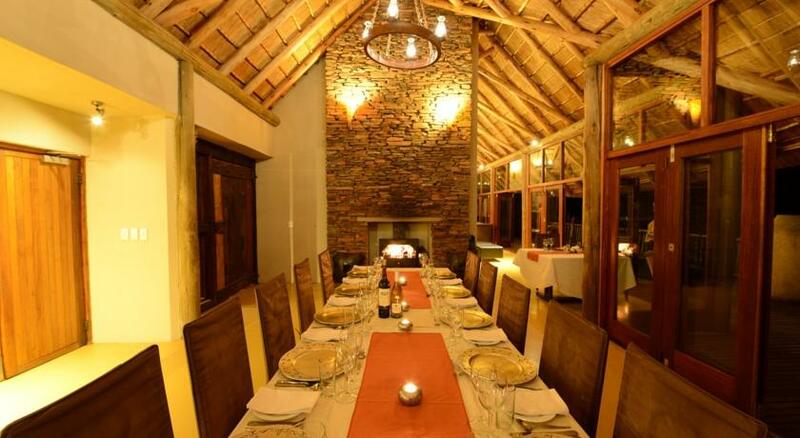 Other than fine dining in our dining room or main deck, we offer traditional South African dinners in our 'lesaka' kraal built in stone. (Tswana elders used to gather in lesaka to discuss tribal issues), close to our water hole. 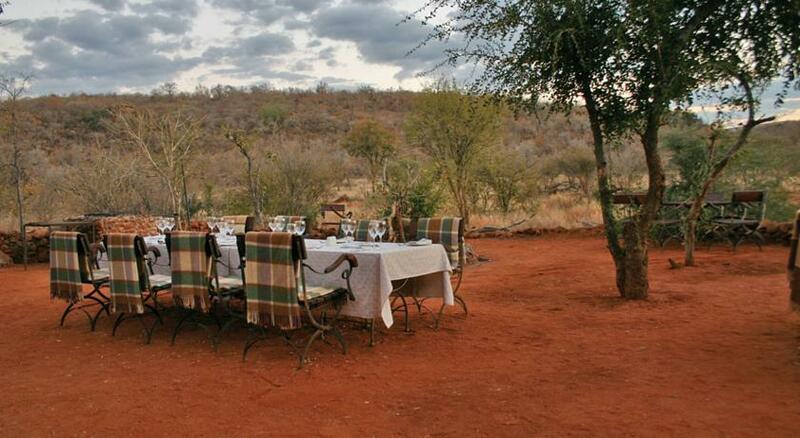 Etali has a site where we serve bush breakfasts and dinners, weather permitting. Please refuel at Sun Village / Zeerust as there is no fuel available inside the reserve. 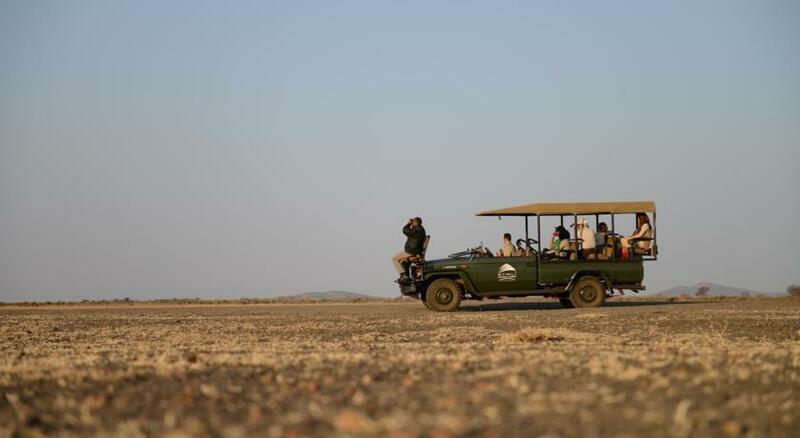 Via Rustenburg / Zeerust will take approximately four to four and a half hours (depending on amount of stops made) to the Abjagterskop Gate and another hour inside the Game Reserve. Via Sun City / Molatedi will take approximately three to three and a half hours to the Molatedi Gate and another thirty minutes inside the Game Reserve. (This is the route we prefer to use). It is advisable to fill up with fuel at the Sun Village, just after the Sun City entrance on the right as there is no fuel available inside the reserve. After passing Sun City on the right, continue straight (approximately 5 km) until you reach a four-way junction. Turn right to DERDEPOORT.Follow the road for approximately 8 kms and turn left at the sign saying, "BAPONG" (ignoring ALL signs saying "MADIKWE") after passing through MABESKRAAL at the 4 way junction/stop turn right to DERDEPOORT . After 26kms the road will become gravel, the Dwarsberg Liquor Store will be on your left. Continue straight along this road, passing through the Molatedi village, over the Marico River and straight to the MOLATEDI GATE entrance into the Park. From here, just follow the signs to Derde poort gate, until you get a Etali safari lodge sign. We are 21 km from this gate. 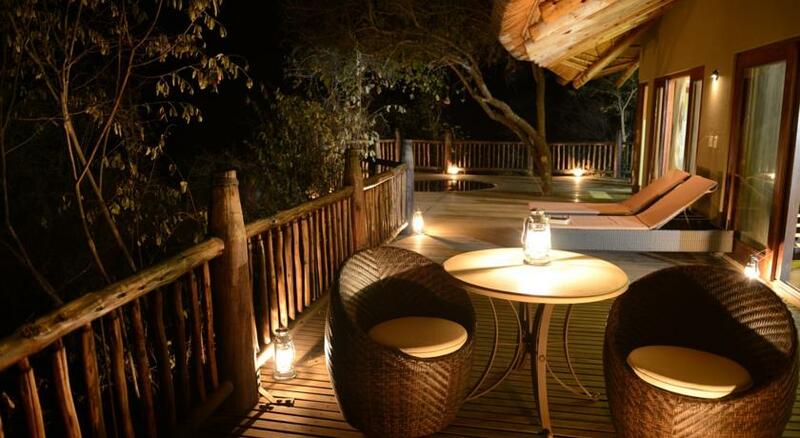 Standard Lodge Single - The Main Lodge Area of Etali Safari Lodge, comprises of a large open deck where guest can enjoy a meal under the shade of custom designed umbrella or dinner under the Southern Cross along with billions of stars in the clear skies of Madikwe. 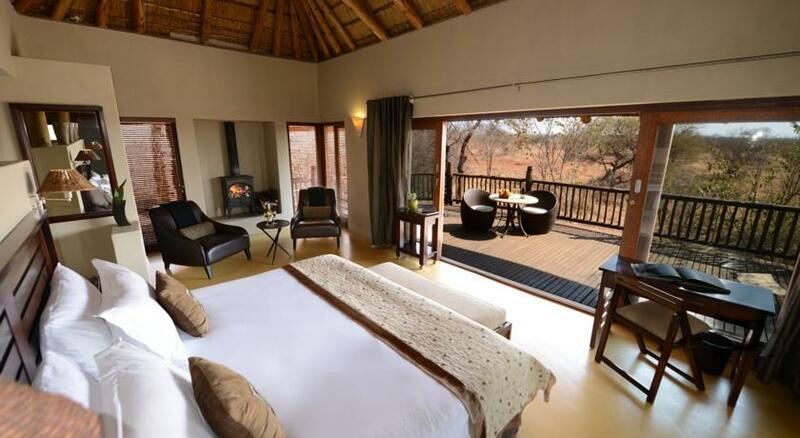 Standard Lodge Double - The Main Lodge Area of Etali Safari Lodge, comprises of a large open deck where guest can enjoy a meal under the shade of custom designed umbrella or dinner under the Southern Cross along with billions of stars in the clear skies of Madikwe.